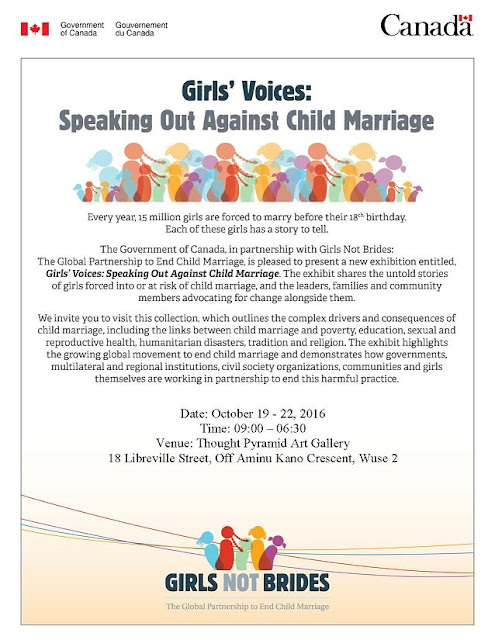 The High Commission of Canada to Nigeria has organised a four-day event to commemorate the World's Girl Child day in Abuja. 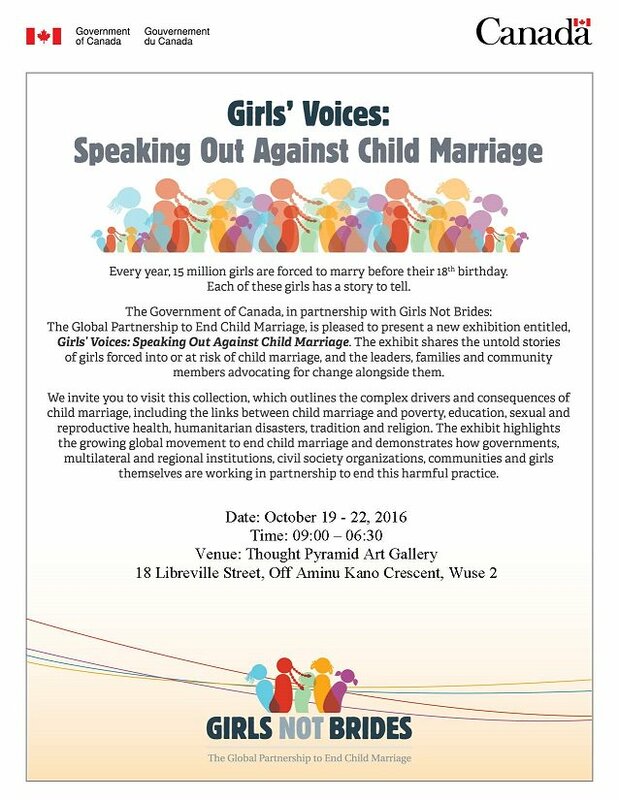 The Government of Canada in conjunction with Girls Not Brides, has organised the event to speak against the ills and raise awareness on child marriage in Nigeria. The event has been scheduled to take place between 19 and 22 October, at the Thought Pyramid Art Gallery in Abuja.